When you have a bad cough or the flu, you are unable to breathe clearly and you feel that this problem will never get resolved. The problem becomes even more acute when you go to sleep at night. Getting a solid night’s rest becomes an impossible dream as the symptoms of cold or flu can get worse at night. Most people feel uneasy at night not only because of symptoms of cold or flu but also because the mucus production increases congestion of the nasal passage and forces us to inhale through our mouth. When you lie down this congestion can irritate the airway can increase the frequency of cough which can disrupt your sleep. Also, the body releases certain immune factors called cytokines to fight the foreign cells in our blood stream when we become sick. These immune factors can have disrupting influence on our sleep which can make you feel uneasy and tired when you wake up. Most people, who are unable to sleep at night, resort to medicines to help them sleep better. However, not all medicines can help you sleep better. At times, taking the wrong medicine can make the matters worse. Since everybody who takes medicines responds differently to the medicines they take, some people may feel nervous or jittery after taking medicines. So until you know the reaction the medicine has on your body, it is best to avoid medicines after 6 pm. Fortunately, there are several other options you can use to unclog your stuffy nose. For example, you could use over-the-counter nasal sprays to unclog your nose. 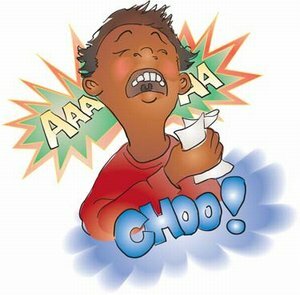 Using nasal spray will make breathing easier by flushing out bacteria that have blocked the airway. You can also use external nasal strips to keep the breathing passage open. Many people, who are unable to sleep because of cold or flu, use cold medicines that promise you will sleep without any problem. Health experts are of the view that these medicines must be avoided because they contain alcohol that could interfere with deep sleep. Also, some medicines that contain alcohol can cause dehydration which could increase the symptoms of cold or flu. If you are unable to sleep because of a headache or body ache, you can take a paracetamol tablet before going to bead. However, it is a good idea to check the label of a multi-symptom tablet you are taking as they usually contain paracetamol. Most people, who are unable to sleep due to the symptoms of cold or flu, believe that they could fall asleep in any place or position. However, sleep experts are of the view that your sleep environment has an impact on how well you sleep when you have flu or cold. You can use a body to keep your body in a comfortable position and keep the room dark and cool. You could also elevate your head ease the pressure on the sinus and make breathing easier. However, you must avoid using extra pillow to support your neck as it could restrict breathing and cause uneasiness. When you take a shower, the humidity and the steam of the shower helps to drain the sinuses and causes the nasal passage to constrict. You can also reduce the stuffiness by having a cup of coffee or a bowl of hot soup. You can have a cup of chicken soup as research has proved that chicken soup is more effective in clearing out sinuses when compared to plain hot water. Avoid drinking beverages at night as it can increase nasal congestion. « Should you wear a bra at night?